Creativity loves routine--that is, the Muse shows up when she knows where to find us. A regular writing habit often spurs productivity. And creativity loves change, newness, variety, the things that let fresh air and new subjects and new styles into our work. Lately I've been trying some new things, not only for the sake of creativity, but to keep my life from getting stale. I've said yes to a few opportunities that edge me out of my comfort zone. This year I've cleared some things out of my life, and now there is room. I don't know yet exactly what will fill that room. I'm just getting ready. Just now, I heard a song that I've heard hundreds, maybe even thousands of times. And for the first time I understood that a word I've always heard as "pain" is almost certainly "paying." Either word works in the context of the song, and we've long been accustomed to not catching mumbled or slurred lyrics, or not understanding them even if we do (such as the neologism "pompitous" in Steve Miller's "The Joker," or the entire song "Whiter Shade of Pale"). But it still makes me marvel whenever I discover something new in something old, when I finally get a reference that always floated over my head before, or when I see the familiar in a whole new light. One reason I like to reread is that I like to see how works change as I understand them better, and as I grow and change myself. Some works lose their luster over time; others gain. Nothing is static, even when the words themselves don't change. Society changes; we change; our tastes change. One work of art can bring multiple experiences. I read for the moments when I can say, "Yes, that's exactly how the world is, but I never thought about it before!" And for the moments when I say, "Yes, that's what I've always said to myself, but didn't know if anyone else felt the same way!" And for the moments when I say, "I had no idea what that experience was like, but now I'm glad I have seen into someone else's world." And for the times when I say, "No, the world isn't like that!" and mentally argue with the author. All of it lifts me. Which experience I go for depends on what mood I'm in, what I need at the moment: education, comfort, escape, reassurance, stretching, challenge. In this season of thankfulness, I'm thankful there are so many books, and I'm grateful I've been able to contribute to the conversation in whatever small way. The story wasn't working, and I couldn't figure out why. And then I realized: the two members of this broken relationship had to confront each other. All the main character's internal musings about the conflict would never be as productive, or as interesting, as her facing the other person and letting us see the conflict play out. Asking the questions she needed to ask; saying the things she needed to say. Backing away from conflict is one of my weaknesses as a writer, and I continually have to push myself to go there. Because that's where the story is. "'But we cannot live in the afternoon of life according to the program of life's morning, for what was great in the morning will be little at evening and what in the morning was true, at evening will have become a lie.'" "'Although it's worth remembering it isn't supposed to be easy ... Easy is just another way of knowing you aren't doing much in the way of your life.'" In the first case, Fuller's quoting Jung; in the second, she's quoting her father. For me, they are reminders that things change, and we change. We should keep questioning our settled notions, even our notions about ourselves and what we want and where we are going. And if things are tough, it doesn't necessarily mean we're doing it wrong. "Sometimes it seems as if we’re in a rut, doing the same thing, seeing the same people, going to the same places. Yet if we pay attention, we see that nothing is exactly the same ..."
When I was little, I loved paint-by-numbers sets. If you don't know, they were a template with numbered shapes marked on them, accompanied by numbered paints. Match the numbered paint with the numbered shapes on the template, and you would essentially be "coloring in" a painting, ending with a beautiful oil masterpiece! I got very frustrated with one such project while staying at my grandmother's. I was very much a perfectionist who couldn't stand when things weren't working the way I thought they should, and when I couldn't do something I thought I should be able to do. I may even have thrown a bit of a tantrum. After calming me down, my grandmother suggested a solution: use a pencil to write in, myself, the color numbers inside each shape, making all those infernal arrows unnecessary. (I could write smaller than the printer could print.) Then I could paint in any order, not worrying about painting over a necessary number. Thank God for Grandma. It was my Bird by Bird moment (if you know the allusion to the Anne Lamott book in which her father told her overwhelmed brother to write his big school report on birds by taking it "bird by bird"). So many times, a task that seems impossible can be broken down into simpler steps. We can find workarounds, solutions that fit our own way of working. These skills come in handy in writing, because there are so many different ways to write, and not every way works every time. And in the end, no matter how big or complicated the project, we can only write it one word at a time. *It is possible that if you painted the colors starting with #1 and proceeding from there, the arrow problem didn't crop up. Believe it or not, it never occurred to me to paint the colors in numbered order--not until years later did this possible solution come to me. At the time, I chose to use the colors in the order that made sense to me then, and for simpler pictures it didn't matter what order you used. Only the complicated pictures used those arrows. But I'm glad my grandmother came up with this more innovative solution, because I think I learned more from it. One of my favorite parts of revision is balancing what I want to spell out explicitly with what I want the reader to figure out. How big are the bread crumbs I should leave, and how far apart can they be, for the reader to still be able to follow the trail? Some things I only want to suggest, to hint at, to foreshadow. Some things I want the reader to have the thrill of discovering--or even of deciding. Yet I can't be too vague. I'm doing such a revision now, deleting repetitions, trimming where I've over-explained, cutting back to make room for the reader. I'm also adding a few words where I realize I haven't been clear, have assumed too much. Seeking, the whole time, a perfect balance. We've seen great upheavals in the world of publishing and bookselling in my lifetime, and especially in the last ten years. Reading has changed fundamentally, with so many of us doing so much of it on screens--reading texts, tweets and other social media posts, snippets of articles, all of it mixed with photos and videos. For me, there is still a fundamental pleasure in unplugging. In taking a print book on a train or plane, or in settling on my back porch with a magazine or a paperback. I do spend hours each day reading on screens. And then I indulge in my not-at-all-guilty pleasure: grabbing a book and sitting for an hour on the porch, stopping now and then to smell the pine needles, watch the play of light on leaves, listen to the birds or the cicadas. Then I plunge back into the book (its pages so blissfully free of pop-up ads and autoplay videos) and re-engage with the story. The ways in which we produce and transmit stories and compensate their authors have changed through the centuries. There may come a day when all my reading is done on the screen or by audio. And still at the heart of the experience will be the best part, the part that hasn't changed for most of human history, even as technology has changed: our love of story, our need to communicate. My husband and I are getting more accustomed to this aspect of our CSA subscription (community-supported agriculture, where we get regular food deliveries from a local farm): using what we have on hand. Every week, we get whatever is in season, whatever crop successfully made it to ripeness. And that dictates what's on our menu for the week. It's made us try all sorts of foods we wouldn't have otherwise. Because of the CSA, I've eaten kohlrabi, and salads with turnip, and chard omelets, and salmon with fennel, and zucchini bread, and rhubarb cobbler, and spaghetti squash, and a host of other foods. The other day, we got a lot of peppers, so we had chili. And it's this "what can I do with what I have" approach that's different from how I cooked for most of my life. For most of human history, people had to eat whatever was available, but nowadays, in my location and at my income level, it's possible to go to the store and get almost any food I want--whether or not it's in season, whether or not it grows anywhere near me. It's a luxury, one I used to take for granted but don't anymore. The writing connection (you knew I'd get to the writing connection eventually!) is that there, too, it took me a while to get the concept of using what I have. For a while I tried to write like writers I admired but whose voices and subject matter were very different from mine. I tried to write what would be easier to sell. I tried to write what seemed like good stories--but turned out to be good stories for someone else to tell. And eventually I started using what I had. I started basing my writing on what I had to say, and on my own voice--which proved to be a much more natural wellspring. I haven't been a steady journal-keeper; I've tended to write more at stressful times in my life, or during events that I suspected would be historic, or when traveling. Consequently, I have many notebooks and pieces of notebooks and stray pages from various times. One of my part-time projects--on which I spend an hour here, an hour there--is consolidating those journals into one coherent whole. As I go, I discover records of events I'd forgotten but can recall when prompted by the journals, as well as events I've wholly forgotten. There are a few people referred to by first name only whom I can no longer identify. There are so many days we live through and then utterly forget. A journal can save a few of them for us. Some of these days, honestly, I am happy to let go of; others I'm happy to retrieve. Maybe it's good to forget so much. Everything is impermanent; carpe diem; live for today. I'm not sure how much yesterday matters. I'm saving some yesterdays just in case. I haven't posted as frequently lately, and it's because I'm in a listening/reading phase. I go through times like this, when I am writing less and absorbing more. Reading a lot, thinking, preferring silence to speech. Feeling as if my ideas are half-formed, not ready for expression. I can feel them taking shape, but they're still lumps of raw dough rather than cookies. August has always struck me as a meditative month, a good time to be in this frame of mind. The weather is warm and mellow, the days are still long, and the cicadas and crickets issue their endless waves of music. I used to do all sorts of creative-stretch projects, dipping my toe into forms and genres I wasn't trying to master just for the experience, for the fun of it, to try something new. At writers' conferences, I would take workshops that directly related to my immediate career goals, but I would also typically squeeze in a session on something farther afield : op-eds, poetry, screenplays. My second published novel grew out of an attempt at writing a verse novel. It was a form I knew I would be unlikely to excel at (and indeed, the book quickly morphed into prose), but just trying it may have freed up some extra wellsprings of creativity. For the past year and a half, I've been keeping a journal as such an exercise. It's been working, mostly because I only ask 100 words of myself per day, and because I don't strive to write for anyone else's approval. This enabled me to play a bit with writing, in a way that I haven't in a long while. Freedom, play, experimentation are key components of creative stretches. And I think it may be time for another stretch. For me at least, it's important to keep the creative fires stoked, to feed my long-term growth as a writer in addition to making progress on short-term practical goals. I'm kicking around some ideas. Do you ever need a creative detour? The other day, Victoria Marie Lees at the "Adventures in Writing: One Woman’s Journey" blog kindly recognized my blog and ten others. I so appreciate her nice words. 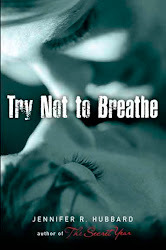 Victoria blogs about the challenges of the writing life, especially those of writing a memoir. Although I don’t generally participate in blog awards circuit, in the spirit of community I wanted to take this opportunity to answer a couple of the questions Victoria posed—the ones to which I thought I could give answers that might be of interest—and to recommend a few other blogs. Q: What is the hardest part of writing for you? Why? A: I think that for most people, the answer to this question changes over time--it certainly does for me. For a while it might be getting started. Then it might be revision. Then it might be dealing with feedback. For me right now, it’s simply finding ideas that I feel are worth committing to. I’ve written some of the books that I had carried around in my head for years; they’re out there in the world. I’ve said what I wanted to say on those topics. The ideas that are on my mind now—will anyone care? And is writing them more important than other ways I could spend my time? Q: How do you push forward when the inner critic won’t shut up? A: This can take a variety of strategies. One is to visualize the inner critic lying down and going to sleep, or walking out the door, or whatever is necessary to quiet that voice. Another is to thwart self-consciousness by saying, “I only have to write this now. It doesn’t have to be perfect. Nobody else may ever see it. I just have to get it down—I’ll worry later about how to edit it, or whether anyone else should see it, or what they might think.” The worries about quality and what other people think can be put off until later. Procrastination pays off for once! Q: How do you keep the wolves…ahem…I mean convince your children or other people to leave you alone to write? Does it work? Provide tips—please! A: I don’t have young children at home, and my husband respects my writing time. (My cat, on the other hand, has been known to meow incessantly, claw at my chair, and walk across my keyboard.) But even if live distractions can’t be minimized, one can log off email, turn off alerts. Turn off the phone or designate one person in the house to answer any phone calls and only interrupt the writing if there’s an actual emergency. Jody Casella's "On the Verge"
Kelly Ramsdell Fineman's "Writing and Ruminating"
Cynthia's "Read is the New Black"
Natalie Whipple's "Between Fact and Fiction"
One thing that bothers me (or makes me laugh, depending on mood) is when all the technology in a futuristic story works perfectly. Our past technology didn't work perfectly; our present technology doesn't work perfectly; surely our future technology won't! One reason I don't rush to completely computerize my life is the plethora of error messages, freezes, crashes, power failures, etc., that have been a regular feature of digital life. We've probably all found ourselves hollering at imperfect voice-recognition bots on the phone, trying to make them understand what we want, giving up and hitting zero in the hope of getting a live human being. I've been thwarted by voice-mail menus that told me which number to press for which problem--and found that my problem didn't fit into any of their categories. Cars break down. Batteries die. Repair people fail to show up. Heck, even our older inventions let us down: zippers jam, radio stations get staticky, shoe heels snap. These problems can not only lend authenticity to our stories, but they can become plot elements. I always liked the way the electric fence in The Hunger Games was usually turned off, and had a hole in it. That situation was realistic, and it gave room for the government to tighten the reins in the future. The world is a flawed place; even our dystopias will probably be flawed. The political situation the past year or two has me thinking about my first novel in a new light. 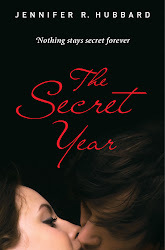 I wrote The Secret Year during the mid-to-late 2000s; it sold in 2008 but didn't appear on shelves until 2010. At the time I wrote it, I thought of the events in the story as occurring at any time from 1996 to 2006. It was just before the internet and smartphones became ubiquitous, when a family landline was not as endangered a thing as it has become today. Were I to rewrite it for a 2017 setting, I would probably tweak the technology a bit. But if I were to write it today, I think I would probably have to address politics, even if only briefly. The fictional town where my characters lived was based on real towns I saw in Pennsylvania, West Virginia, New York, and other states. It was a town where blue-collar work had once brought in a good enough living for people to buy their own houses, but where the old industries had since collapsed. Where the American dream had come true, but then vanished. I wrote of the abandoned houses, the unemployment, the money squeezes. And I wrote of the wealthier people who had moved into the town and built their fancy houses on the highest ground with the best views. I wrote of the clash between these two groups of residents. I didn't imagine the kinds of clashes that would play out in national elections. And I find myself thinking back on that book now, asking myself who my characters' parents would vote for, and why, and what new divisions might appear in the community. Sometimes I wish I could rewrite the book now to explore some of those questions, and sometimes I'm glad my story appeared before it could be viewed through the lens of current politics. "At its best, my business is the business of failure. You fail every single day. I don't know of another business that grinds your nose into the dirt quite so often. You have to be stubborn. You have to have faith in yourself. You have to be egocentric, and stupid about hanging in there." She's speaking of "the entertainment business," largely of the music business, though her words certainly cover most artistic endeavors. It's not a new idea that artistic fields are full of rejection, and projects that don't work out, and goals that aren't reached. The advice to persevere is not new, either. But I've never heard it expressed in quite these terms: failure as a daily occurrence, and "egocentric" and "stupid" as virtues. It's wry, of course; I laughed. But it's partly the laugh of recognition. I stepped outside of regular life for a bit--physically (that is, geographically) but also mentally, unplugging from the internet and most news. I was out of the country, away from work and routine and social media. Before every such trip, when I am busy with preparations and nervous about the unknowns that lie ahead and the hassle of traveling, I question whether it's worth it. I am reluctant to leave my cozy nest. And then on the trip and for a while afterward, I savor the change, and confirm that it's exactly what I need from time to time. I now return to my regularly scheduled life, better for the time away. Sometimes there is way too much to do, the day crowded with all the little chores like renewing prescriptions and buying a new railpass and packing a lunch and weeding the junk mail. It's amazing how much time we spend doing such things, and generally we don't consider them worth writing about. There are exceptions--Sinclair Lewis, Marilyn French, and Laura Ingalls Wilder all managed to weave ordinary daily chores into compelling narratives--but mostly we think of "living" as the stuff we do in between all the tedious humble tasks. Yet mindfulness is about living in every moment, and I keep pausing to savor even the ordinary, the humdrum. To find what's precious here and now, whether it's worth writing about or not. I may or may not have mentioned my daily walk, and how vital it is to my writing and my life in general. On days when I go to my day job, I walk to and from the train station. On other days, I can manage a few miles. I go rain or shine, wind or snow. (About the only weather that keeps me indoors is ice. I won't walk during a thunderstorm either, but those usually pass quickly.) I long ago learned that waiting for the perfect weather means rarely walking, so I take the weather as it comes. It's a break in the day. It ensures I get out into the world and get some exercise and remind myself what season it is. It's meditative (if I'm alone) or social (if I'm walking with others). Sometimes I consciously work on a story problem, or try to think up a title, or otherwise focus on writing. Sometimes I don't intentionally think about a story, but ideas will pop into my mind as I walk. Often I come home with a new scene or a new understanding of an existing scene. Writers often sleep on story problems; many times I've heard that they wake up with great ideas. This doesn't really work for me, but walking does. Yet even without the bonus of the occasional story idea, I would still walk daily. It is, simply, nourishing. I've generally not been a fan of change nor uncertainty. I'm still not the most spontaneous, roll-with-it person around, although I'm maybe a bit more flexible than I used to be. With change comes new possibilities. In the past, I always had trouble believing that the new ones would be better than the old possibilities. In reality, there's usually a mix of better and worse. Some of the best things in my life came after I'd let go of earlier circumstances. When I write, I can make things come out the way I want them to, or at least the way I think they should have. Although even there, I find surprises. In life, I just hold my breath and turn the corner and see what's there. I've been reading a lot of memoir lately--in fact, for a while. I love it for its focus on some part of life, its recounting of true stories but through a particular filter, or by focusing on a particular theme or topic. Dani Shapiro's Devotion focuses on spirituality. Pat Conroy's My Losing Season is about teamwork and family and loss. Joan Didion's Blue Nights zeroes in on mortality. And of course I am oversimplifying; these books are about much more. But they don't try to cover every aspect of a life in one volume. I'm currently reading Mark Doty's Heaven's Coast, which I discovered through an interview of Doty in Creative Nonfiction. I could say this book is about the loss of a lover; I could say it is about terminal illness, it is about AIDS, it is about survival. It is about the homes we make and the friends we make (and lose). It's about recovery, community, dogs, the ocean. Those are some of the topics it covers, but the story is more than that; the spell it casts is indescribable. I suppose memoir is mostly a gateway for me. A gateway into lives I've never lived and worlds I've never seen--but also into recognition, the sense that some of what we feel and think about the world is shared by others. If one doesn't outline, one writes "by the seat of the pants," discovering the story through the first draft rather than through pre-draft planning. I tend to write fiction this way, using outlines more for nonfiction. But I find that even this rambling seat-of-the-pants method is not truly random--not for me, at least. The story I'm building is not really without a blueprint. I don't have the concrete, written blueprint that an outliner has, but as I write I sense myself moving toward something; the story assumes a shape that seems somehow destined. The blueprint exists in my mind, just one level below consciousness, I suppose. I may not see the whole story at once, but I find it one scene at a time. If I could've given advice to my younger self, one thing I would say is, "Don't hang onto so many things; don't acquire so much. It will only weigh you down." I've reached a point in my life when I am much more willing to let things go. In the past couple of years, I think I have released more than I've acquired, reversing a lifelong trend of increasing accumulation. But I have more to do. It isn't just material possessions that I tend to hang onto. I have always found good-byes difficult. Every job, apartment, relationship--even if I really wanted to move on, there was always at least a pang of regret in there somewhere. Heck, when I closed a bank account that I'd had for 25 years (through multiple mergers and name changes on the bank's part), it was bittersweet. That was the first account I'd opened upon moving back to Philadelphia and settling in at my first post-university full-time job. Maybe it was just that part of my life, my younger self, that I didn't want to abandon. Because in reality, I had no real "relationship" with that bank. They were paying me almost no interest, and they had just instituted new fees that meant I would be losing money by keeping an account there. Despite the commercials they continually run about how they're all about people, I was just a set of numbers to them. And I moved on, and I'm fine. But it just shows how far I travel emotionally when I let anything go. Everything in this world is temporary, but that is one of the hardest ideas to accept. We make plans and schedules, and then life happens. Illness, an uptick in workload, the need to move, a family crisis, an exciting new adventure--whatever it is, it obliterates the schedule and elbows aside the plans. For those whose writing thrives in periods of sustained quiet and concentration, writing can take a backseat during such upheavals. If at other times we're able to put writing on the front burner, during times of chaos we just can't. Sometimes all we can do is take notes until the dust settles. The words will come. A couple of months ago, when I had the chance to mentor other writers and they asked how you find stories and how you know what's worth pursuing, I said, "Write about what matters most to you." That is, write the story that won't leave you alone, the one that's on your bucket list, the one that insists on being told. Write what you care about. It was a good reminder to myself, too. Between writing projects, one waits. Listens. Reads. Tests ideas. Practices patience. Cleans the bathroom. Trusts. Wonders. Doubts. Keeps the mind open. Takes notes. Makes false starts. Lathers, rinses, repeats. "All I want is for someone not to change something I love. All I want is for someone to keep it simple." She's talking about the relentless march of technological upgrades, about which I agree--I don't see the point of arbitrarily moving buttons from the left side of the screen to the right, or vice versa. Or adding dozens of new features that I didn't want and never use. Or hiding the menu so you can't find what you need. But those sentences, pulled from their context, also can stand on their own in a more general sense. We've all lost what we loved, or seen it change for the worse, at some point in our lives. We've all had a perfect thing or place or situation that deteriorated, or closed down, or moved away. It was going along so well ... and then it wasn't anymore. But then--if I want to go down that rabbit hole, I can also reread Joan Didion's Blue Nights, an entire book that meditates on loss, and change, and how swiftly it all occurs. I'm also reading Rebecca Solnit's The Faraway Nearby. It's coincidental that I've been reading this at the same time as Ephron's book, but both books deal with losing mothers to chronic, personality-changing illnesses--Alzheimer's in one case, alcoholism in the other. In both books, the mother-daughter relationships were complicated and not warm-and-fuzzy even before the onset of illness. I like finding multiple books that deal with the same subject. It enables me to consider it from even more angles. It's as if the authors are bouncing ideas off each other through me. With the advent of the internet and book blogs, I've changed the way I find and choose books to read. I found myself making so many notes of books I saw mentioned online that I eventually made a consolidated list. I try to get the books from the library when I can; I'll order them or get them at a bookstore otherwise. The list is long, about 200 books. I've read scores of them, but of course I keep adding to the list. Even when I tell myself firmly that's enough for a while; I won't add more until I get through some of what's already there. 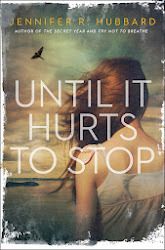 But then an irresistible new title comes to my attention--a favorite author's brand-new release, a friend's book, a sequel to something I loved, a memoir that speaks to my current situation--and on the list it goes. It's fun to have a list of anticipated reads all ready, to never be at loose ends wondering what to read next. I like the process of choosing the next armload from the library, checking them off on the hold list, and picking them up when they're ready. I like having books delivered to my doorstep. But I do miss the days of wandering through bookstores or libraries, choosing books at random, finding something in front of me that I might not have found otherwise. And in the past month, I treated myself to browsing sessions, one at the library and two at local bookstores. I came home with books that weren't on my list. I'm not going to live solely by the list. Sometimes it's fun to wander, to say to the bookshelves, "Surprise me." I haven't talked about prose rhythm in a while, but it's something I'm very aware of. Poetry isn't the only kind of writing that has a rhythm. I've noticed that when I scroll up my blog feed page, I can tell who wrote which post even before I read the actual words or see the name at the top of the post. It has to do with the patterns people use when they write. Some write in long, dense blocks of text. Others write long posts built from short paragraphs. Some use short sentences with frequent line breaks. Others use mostly pictures. I've noticed that many writers who write for Harper's magazine favor very long sentences, and I began to wonder whether that was just the editorial preference, and how much the editors shape the prose that way. I first noticed prose rhythm in the writing of Jack Kerouac, where it's knock-you-over-the-head obvious, especially in works such as Desolation Angels and Visions of Cody. Similarly, his friend and colleague Allen Ginsberg wrote poetry with long breathless lines, Howl being the prime example (though Ginsberg's work does not sound exactly like Kerouac's). Hemingway is another writer whose rhythm stands out, in his case for shorter, plainer, sentences. Every writer has a distinctive pace and tone and meter, a distinctive way of shaping language as if to a tune that only he or she can hear. Often we start our careers so beguiled by another writer's rhythm and style that we ape it, whether consciously or not, in our early efforts. But we learn to tune in to the inner musician and turn up the volume, to find our own rhythm. I won't call these resolutions. Maybe they're aspirations, or reminders, or ideas. Whatever. 3. Know what to take seriously and what not to take seriously. 5. Ask why and what if. 6. Say the nice thing you're thinking. 7. Keep in touch with nature.